Apache Indians, a branch of the Athabascan stock. They are mostly wanderers, and have roamed as marauders over portions of Texas, New Mexico, and Arizona, in the United States, and several of the northern provinces of Mexico. Wanderers, they do not cultivate the soil, and have only temporary chiefs to lead them. Civil government they have none. Divided into many roving bands, they resisted all attempts by the Spanish to civilize and Christianize them, but constantly attacked these Europeans. So early as 1762, it was estimated that the Apaches had desolated and depopulated 174 mining towns, stations, and missions in the province of Sonora alone. 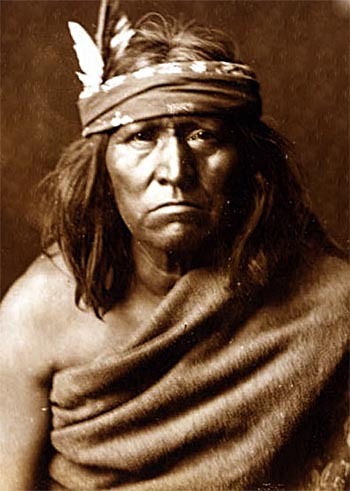 For fifty years a bold chief—Mangas Colorado—led powerful bands to war; and since the annexation of their territory to the United States, they have given its government more trouble than any of the Western Indians. Colorado was killed in 1863. 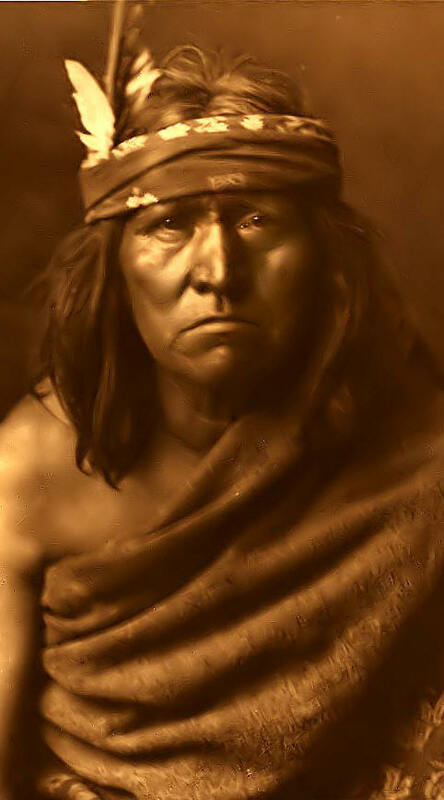 The Apaches also had the famed "Geronimo" as a chief and medicine man. Geronimo battled both Mexican and United States troops and became notorious for his daring exploits, raids, and numerous escapes from the military. In the end, 38 men, women and children evaded 5000 U.S. Army troops and the Mexican authorities for twelve months. His warriors became the last major force of independent Indians who refused to acknowledge the United States Government. This ended September 4, 1886, when Geronimo surrendered to United States Army. Though fierce in war, they never scalp or torture their enemies. A Great Spirit is the central figure in their simple system of theology, and they reverence as sacred certain animals, especially a pure white bird. 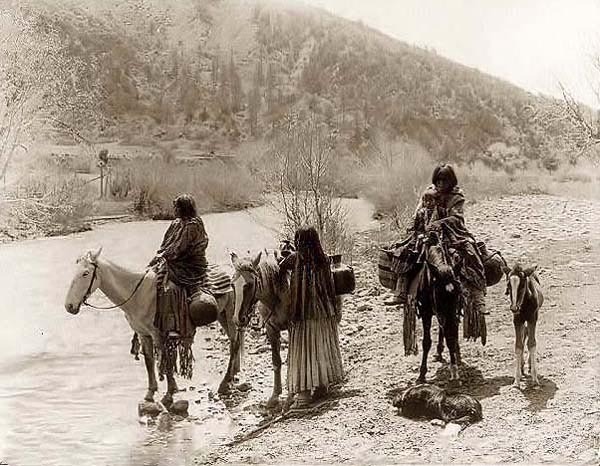 In 1900 the members of the tribe in the United States were classified as Coyotera, Jicarilla, Mescalero, San Carlos, Tonto, and White Mountain Apaches, and were located in Arizona, New Mexico, and Oklahoma. They numbered 6,113.